The Department of Justice hasn’t made any official announcements regarding its antitrust review of the T-Mobile-Sprint merger, but a new report claims that things aren’t looking great for the deal. DOJ staff have reportedly told T-Mobile and Sprint that their merger is unlikely to be approved as it currently stands. Sources speaking to the Wall Street Journal claim that the DOJ’s staffers question T-Mo and Sprint’s arguments that their merger will produce important efficiencies. Today’s report also says that some state antitrust officials have similar concerns about the T-Mobile-Sprint merger and that they plan to launch a legal challenge to the deal if the Department of Justice doesn’t oppose it. A final decision on the merger must be made by both the FCC and DOJ. It’s unclear when the agencies might make a decision, but the DOJ is likely many weeks away. The FCC is currently on day 134 of the 180-day shot clock on its review of the deal. 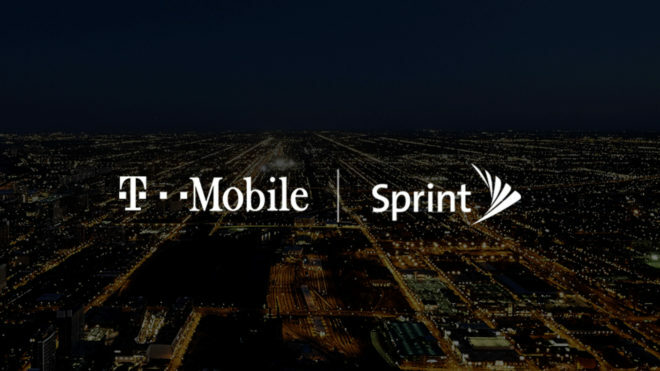 It was recently reported that Makan Delrahim, the DOJ’s antitrust chief, was open to hearing T-Mobile and Sprint’s 5G arguments in favor of the merger, which may have given some hope that the deal would ultimately get approval. Now things aren’t looking so great for the merger. A final decision hasn’t yet been made, though, and it’s possible that T-Mobile and Sprint could try to restructure their merger to make it more appealing to the DOJ. Are you speaking English? It is difficult to give your view on this any credibility when it looks like a 5 year old typed it up. Not only are there nonsense words in your response, but the spelling is awful and the grammar is worse. Couldn’t you just fix it instead of taking the time to argue with the criticism? You never know , he/she may agree with you if they understand your point. …when you cannot be arsed to make your post even remotely understandable. You’re right, we don’t need another AT&T. That’s why we need a “New T-Mobile” to continue to fight Verizon and AT&T. Once the 5G race is in high gear, T-Mobile and Sprint alone will not be able to keep up with the bigger players which will likely see a lot of people leave T-Mobile and Sprint in markets that are lagging behind. If things are left the way they are Sprint will likely continue to decline as a company and eventually their customer base will follow. Sprint has managed to stay afloat due to its many prepaid brands but the business side has suffered tremendously as we’ve seen with the downsizing. The bottom line is T-Mobile will never be able to compete with Verizon and AT&T’s business units unless they can roll out 5G nation wide without coverage fragmentation. What does that even mean. If anything this guy is an anticorporate socialist. Leftists are eating each other alive these days. I gave up reading it after “camo-blah-blah-blah”. I agree with others that have commented the only way T-Mobile’s going to be able to compete is to get the Spectrum from Sprint and I believe that they will continue to battle Dumb and Dumber. So really big news today. First, Intel says they are getting out of the 5G modem biz right after Apple & QC kiss and make up. Plenty to comment on right there alone. But concerning the merger, if this is denied could John & Marcelo (Masa-san listening in) make a deal to provide T-Mo w/ the spectrum as a preferred roaming partner in return for T-Mo to build it out. Is that an outcome requiring any legal scrutiny? They could set up a third company jointly owned that would be initially funded with Sprint Spectum and TMobile $. I propose the name Cingular. Very good. Let’s unfurl Catherine Zeta out of mothballs. Backup name could be Omnipoint. Wonder if Carly Foulkes is still up for new commercials. T-Mobile is more likely to make that deal. They have the capital to deploy Dish’s spectrum. Delta and Northwest was a much different than the United Continental and worse, American and US Airways. Now we’re left with just Delta, United, and American as legacy carriers. Since when is that any business of anti-trust regulators? Whether the claimed financial efficiency of the merger will in fact occur is a problem for the shareholders not the DoJ. I agree, however, I think that line of questioning all comes down to prices. New T-Mobile is arguing they won’t need to raise prices because the new cost savings and scale and additional capacity will make current pricing (and perhaps future lower pricing) more achievable over the long term. The DOJ is merely questioning whether that is true, since one of the major judgements on whether to approve the merger comes down to whether the “reduced” number of carriers will lower prices. Barr is a Trump goon. Its purely political: The Trump admin cant go out and campaign for reelection if he has to contend with the losses of jobs that Legere has already stated would happen as a result of the merger. Im sure if this took place after the election, it would go through. In an ideal world of course we would all love 4 large competitive players instead of 3. The problem is when you look at the facts, particularly Sprint’s financial position, you can see that by maintaining 4 major carriers you really have a system where only 2 are significantly competitive and a third is good but perennially stuck playing catch up. Remember that T-Mobile only got where they are today (apart from Legere’s brilliant changes early on) because of a massive breakup fee after the failed ATT merger that funded a spectrum purchase of excess coverage from Verizon. Without that failed merger they arent by any means competitive in LTE coverage and they would be in a similar position as Sprint but with less legacy spectrum holdings. Not to mention even with T-Mobiles massive growth they still have only about half of the number of customers as AT&T and Verizon. As we move into the extremely expensive and capital intensive expansion of nationwide 5G, they will inevitably fall even more behind. They simply cannot acquire and deploy the amount of spectrum they need to be at the same level as those two. I’m not arguing they will fail as a business. There will always be a place for T-Mobile. But they will always be behind and always playing catch up. They will always be requesting special privileges from the FCC in spectrum auctions and the like. If we want a real true valid third competitor, the merger has to take place. Sprint has the spectrum and T-Mobile has the cash. Oh well. Put the merger on hold, and wait for the change in administrations after Jan. 2021. Try again after Trump’s people are gone.